A detailed look at the disappearance of 3-year-old Madeleine McCann, who vanished while on holiday with her family. 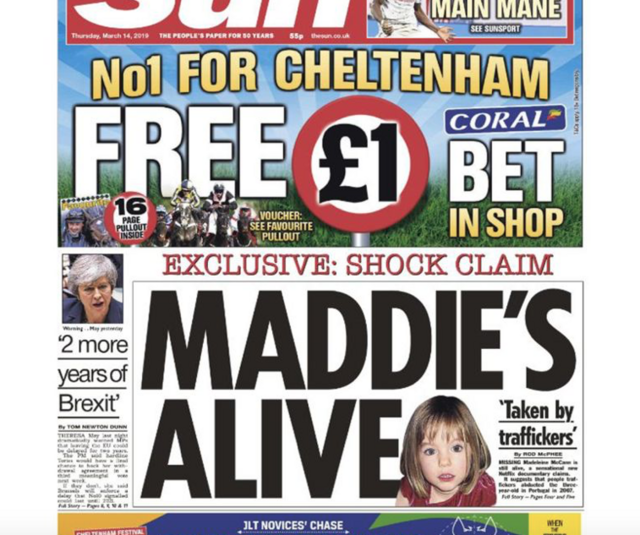 The Disappearance of Madeleine McCann. Only on Netflix March 15th. Spoiler: the parents did it. Preezy wrote: Spoiler: Steven Avery did it. Just finished Triple Frontier and thought it was pretty gooseberry fool. Seemed kind of pointless, really. I'd say 5/10 I suppose, but rather forgettable. After Life was very good though. Thoroughly enjoyed it. Queer Eye Season 3 is so good. So nice to see reality TV which is positive and we'll filmed. kev is the best character in it. Tragic and funny, mostly tragic. Watched the first episode of this last night, and while it was really good, it felt like it was leaning pretty heavily on it being "adult" animation. I keep meaning to watch this. I think I'll give it shot. Godzilla wrote: kev is the best character in it. Tragic and funny, mostly tragic. Yeah, the episode called Gas has a scene which definitely wouldn't be allowed nowadays. Aside from that it's probably one of the funniest episodes.